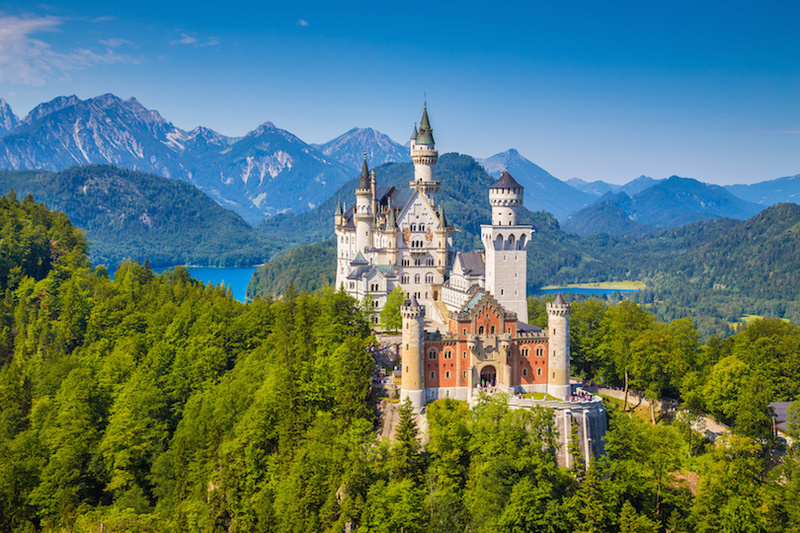 If you’re a fan of castles, then it is hard to a imagine a more perfect day trip from Munich than one that includes stops at Neuschwanstein and Linderhof. 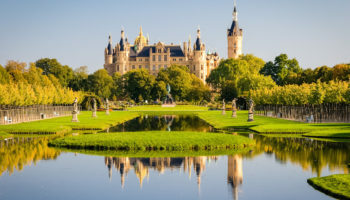 Both castles are world renowned, and both were created under the direction of King Ludwig II. Together, they are the basis for a day trip from Munich you’ll love. The day starts in Munich, where passengers board a bus and begin the journey through the Bavarian countryside to the castle of Linderhof. This castle is the smallest of the day, and it was considered by King Ludwig II, or “The Mad King,” to be his hunting lodge. It’s still extravagant, and built in the Rococo style, so you won’t be disappointed. 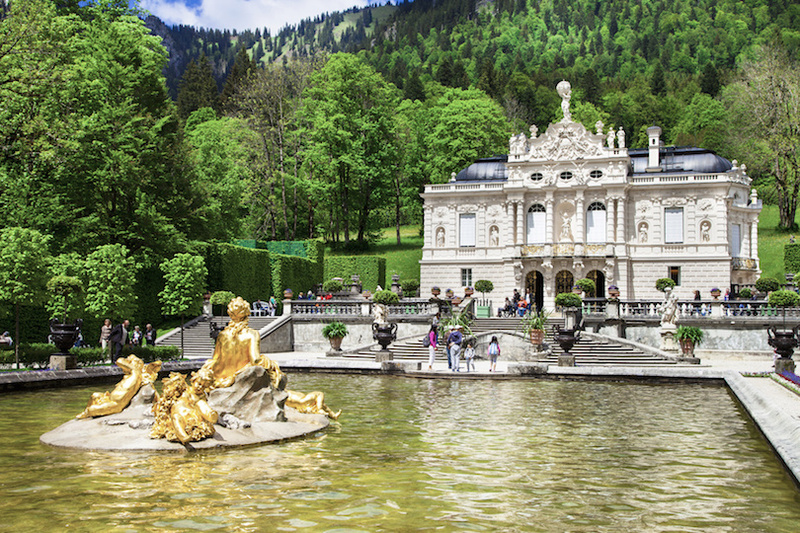 While at Linderhof, you’ll also have the chance to tour the magnificent Moorish pavilion. 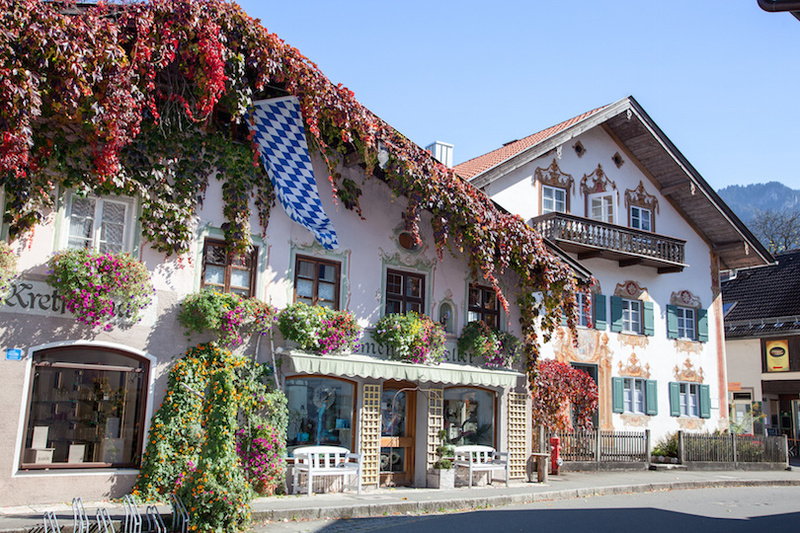 Just a 15 minute drive away from Linderhof is Oberammergau, a town that looks like it has come straight from a book filled with fairy tales. Shop at the traditional woodcraft stores, or see the stage where the iconic Passion Plays are performed. You may even meet some of the actors, whose roles are passed down within the family from one generation to the next. The final, and most incredible, stop of the day will be at Neuschwanstein itself. This castle is perhaps the most famous in the entire world, and it is said to be the inspiration for the Disney castle. 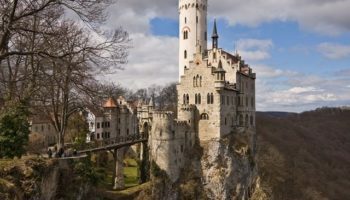 With four hours to spend in the area, you can choose to fill your time with a guided tour of the castle, a self-guided tour of the castle as well as the grounds or even a traditional Bavarian lunch in the nearby village of Hohenschwangau, which is situated the base of the castle and offers some extraordinary views. The ride back to Munich winds once again through the Bavarian countryside, offering some wonderful scenic vistas along the way. In the southernmost of Bavaria, right on the border with Austria, is the town of Berchtesgaden. Nestled in the Alps, this town offers some of the most spectacular scenery imaginable. However, it also comes with a somber history for its role as Hitler’s retreat. 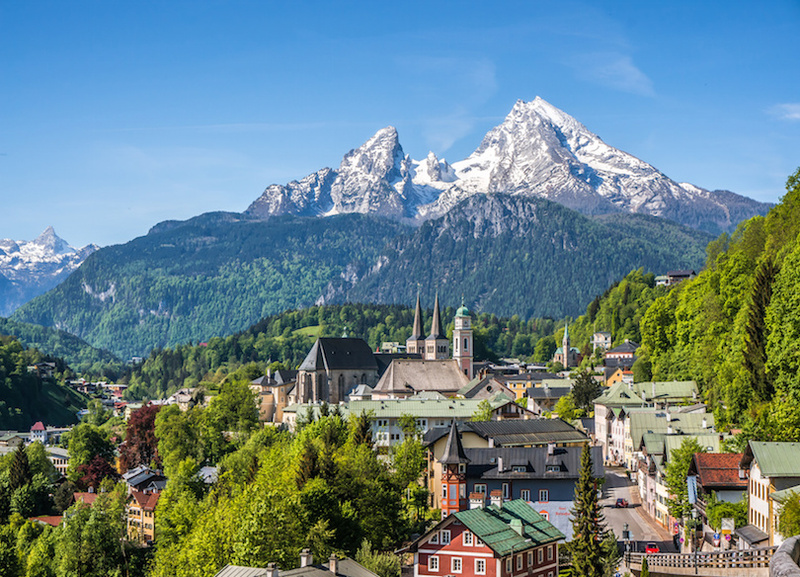 On a day trip from Munich, see Berchtesgaden and find out more about its impact on history as well as why it is regarded as one of Germany’s most beautiful destinations. 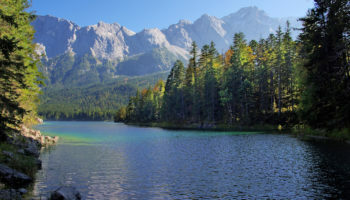 Berchtesgaden is just a 90-minute drive from Munich, yet it is routinely overlooked by travelers. On a day trip from Munich to Berchtesgaden, you’ll see a part of Germany that not many travelers do. The air-conditioned bus journey will wind through the Bavarian Alps until it nears Mt Kehlstein. An elevator will take you to the top of the mountain, where the lodge stands that once entertained foreign leaders and German dignitaries. 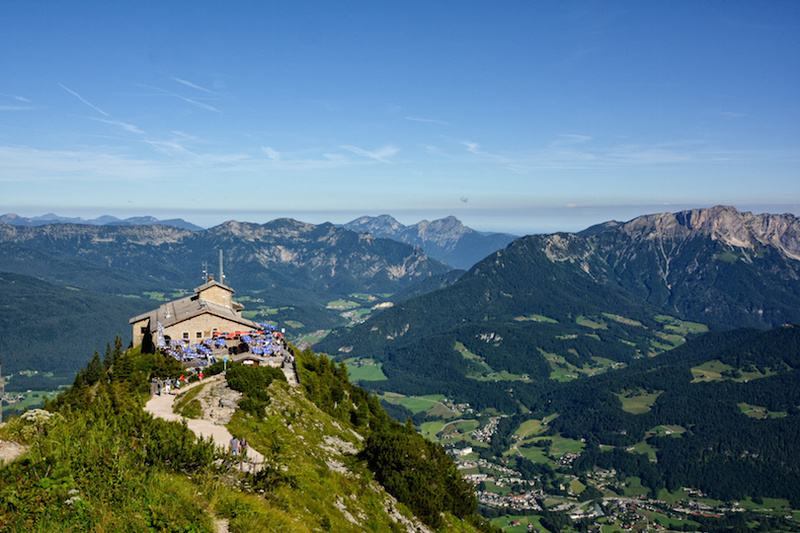 The Eagle’s Nest, or Kehlsteinhaus, was a gift for Adolf Hitler on his 50th birthday. Although the American Army took over the lodge at the end of World War II, and many artifacts were either removed or destroyed, the building itself is still entirely, and surprisingly, intact. Even for those who aren’t history buffs, Berchtesgaden is well worth the visit. The views from the Eagle’s Nest are unparalleled, and they are the ideal place to soak in vistas of the Alps and take truly amazing photographs. In the event of bad weather and poor visibility, it is possible to see instead the famed salt mines of Berchtesgaden, which is a unique experience. Be prepared for salt grottoes that look like they are made from diamonds, not to mention the surreal subterranean lake. Whatever the itinerary holds, the day won’t be complete until you have had the chance to drink a local beer at one the pubs, or Gasthofs, located in the town of Berchtesgaden. 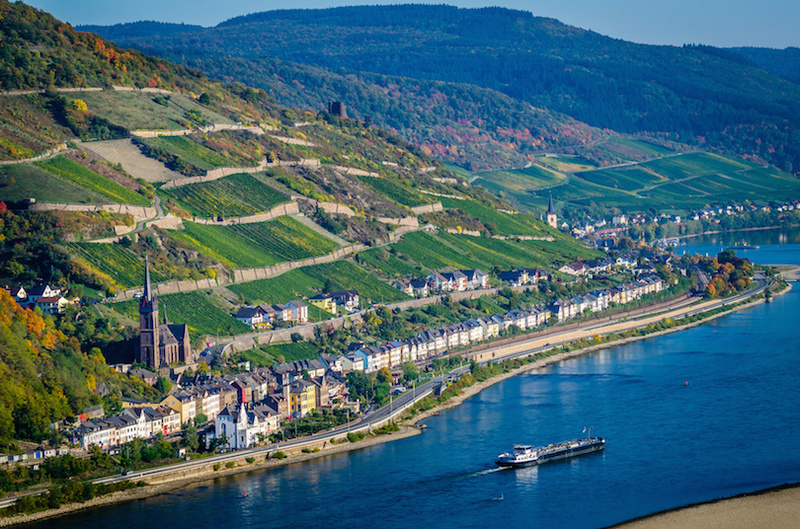 There is no question that the Rhine River is of tremendous cultural, economic and historic significance in Germany. When you’re in Frankfurt, make time to explore not just a single view of the Rhine, but as much of this incredible river as possible. 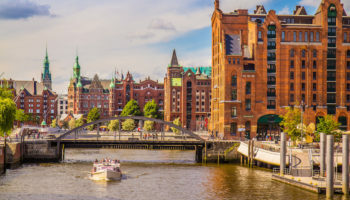 A full day river cruise trip will take you along the Rhine, through the Rhine Valley and to several remarkable riverfront destinations you’ll never forget. 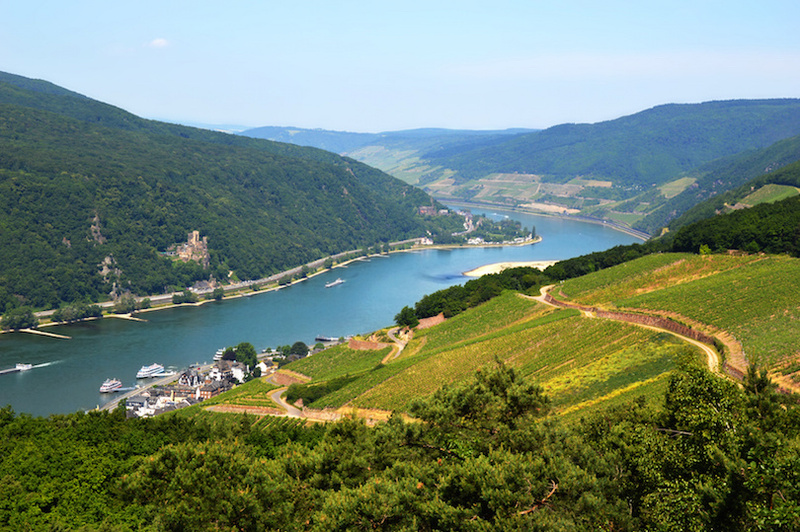 The tour includes a scenic, relaxing boat ride along the Rhine, passing the famed Loreley Rock. This steep rock cliff is incredible from any angle, but you will definitely be breathless as the river cruise boat passes beneath the enormous outcropping. Make sure you have for camera ready throughout the cruise, because there is some spectacular scenery along the river. Just when you’re starting to get hungry, the boat will dock at a riverside restaurant. Feast on a traditional German lunch, and linger over the views with a glass of local wine. The river trip continues in the afternoon as the cruise takes you to the harbor of St Goarshausen. This is where you’ll disembark and enjoy a private wine tasting session. You can then have a couple of hours on your own to explore the town of Rudesheim. There are several prominent castles in the town that are available for tours, not to mention a winery that still operates in one of them. You’ll definitely want to sip the local Riesling, the most popular white wine produced in the area. 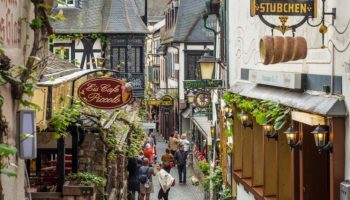 Spend time exploring museums, shopping for souvenirs or just admiring the river views on a scenic walk through the town of Rudesheim before your return journey to Frankfurt. 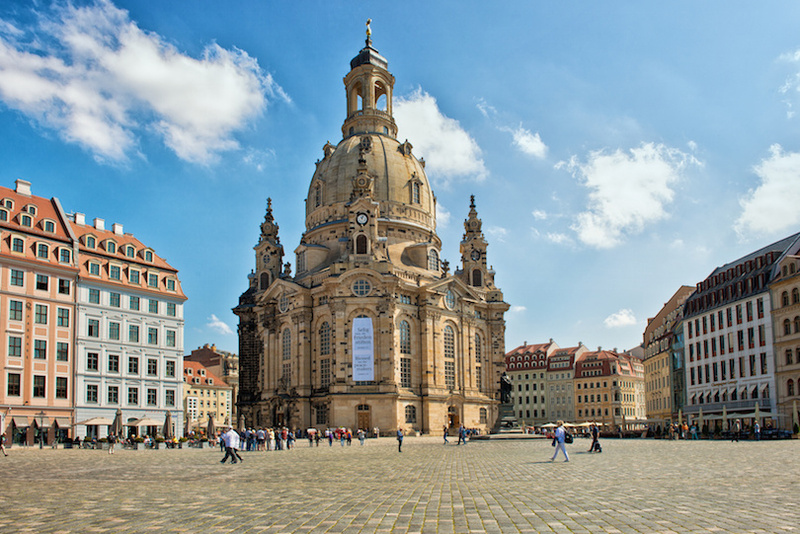 Dresden is widely recognized as a hub for arts and culture in Germany, making it the ideal day trip from Berlin. 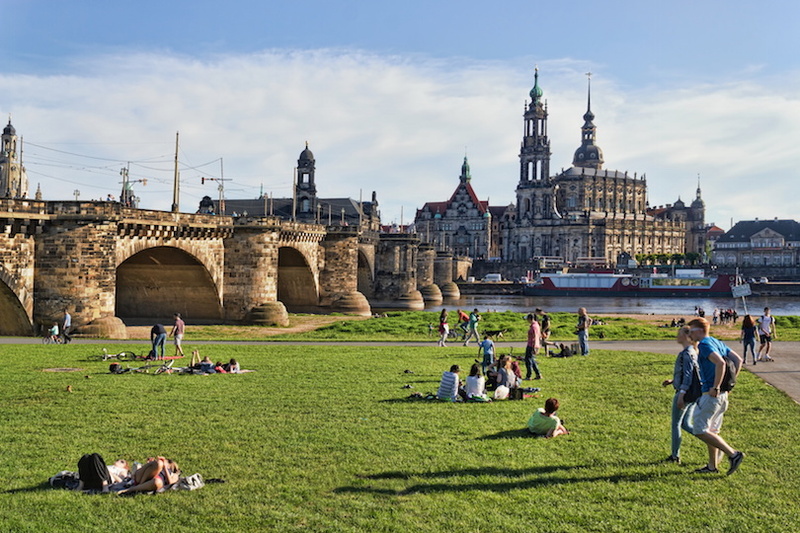 On this particular day trip, you’ll have to the chance to see views from the River Elbe, world-class architecture and some of the many attractions that make Dresden great. After meeting at the Zoologischer Garten railway station, the small group tour will depart from Berlin to Dresden. The journey of about two hours will fly by thanks to the scenery, which includes several forested preserves. 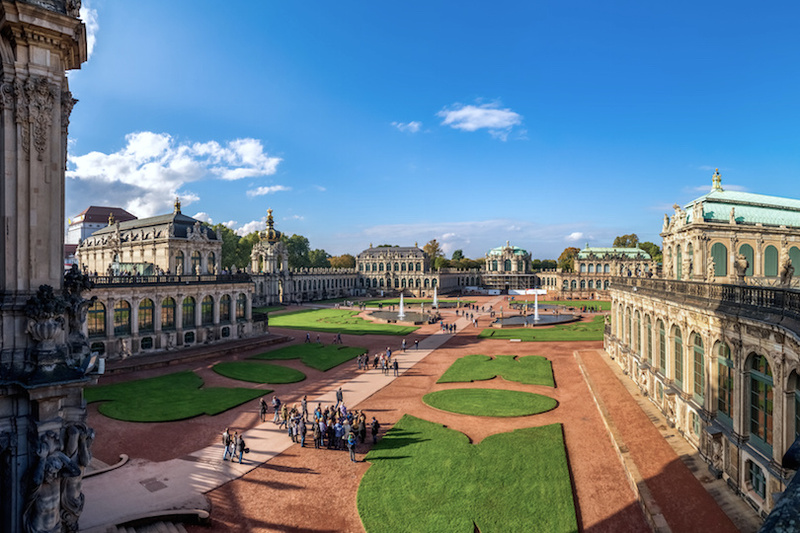 Your time in Dresden starts with a comprehensive walking tour of the city better known as Jewel Box, thanks to its stunning collection of Rococo and Baroque buildings. You’ll learn about the fascinating 19th century history of Dresden, you’ll find out how bombing in World War II impacted the city’s infrastructure and you’ll even get to visit Semperoper, the very place where Wagner composed some of his most famous pieces. At midday, the guided tour relaxes, giving you some independent time to see the city. If you wish, you can go back and explore some of the earlier landmarks and museums in depth. Alternatively, you could stroll along the river banks, soaking in the beautiful views. If you’re a car enthusiast, a great way to pass an hour or two is with a factory tour to see how Volkswagen makes it luxury vehicle, the Phaeton. 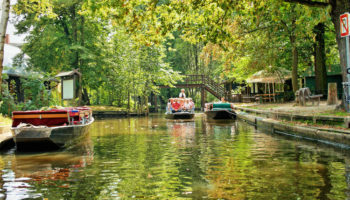 You could rent a rowboat and soak up the sun in the lake at the Großer Garten, or you could grab lunch at one of the many charming cafes found throughout Dresden. 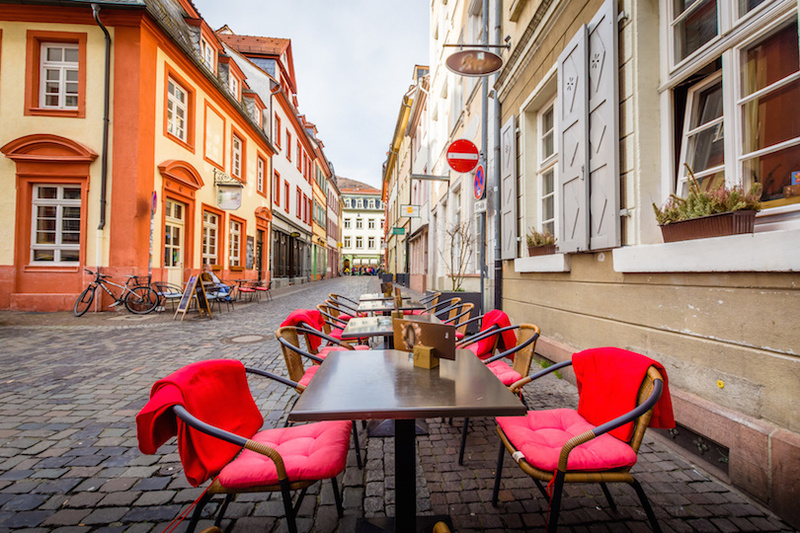 Sip a refreshing beer in the Altstadt, or Old Town, before the relaxing bus journey takes you back to Berlin. 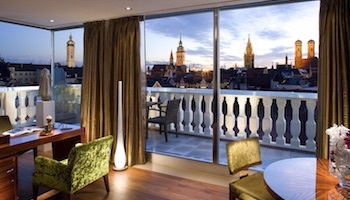 As you explore Munich and the rest of Southern Germany, don’t forget just how close its bordering countries are. Salzburg in Austria, for example, is less than 150 km (90 miles) away from the Bavarian capital. 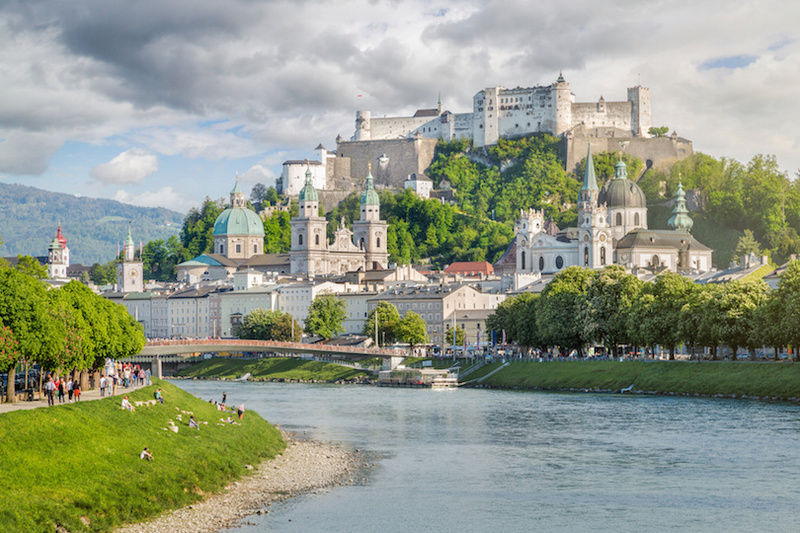 With a day trip from Munich to Salzburg, you can see a whole new country, getting to know the culture, cuisine and history of Austria in the process. This day trip is a small group rail trip, so the journey starts with a scenic and comfortable two-hour train ride from Munich to Salzburg. Explore the city with a 90-minute guided walking tour that will hit some of the highlights of this Austrian metropolis. Along the tour, you’ll see castles, monasteries, museums and churches, and there will be plenty of great photo-taking opportunities. After the guided tour, you’ll have the chance to do some sightseeing on your own. You’ll have three hours to explore Salzburg, visiting the attractions and landmarks you’re most excited about. 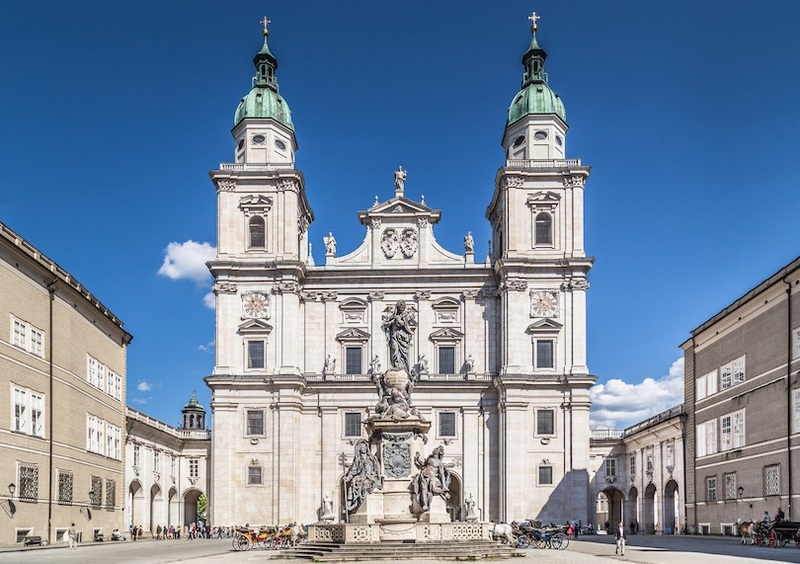 Many people will head straight for the impressive Domkirche Cathedral, while others will head for an al fresco lunch in the picturesque Salzburg Zoo. If you’re a fan of the Sound of Music, you can look for some of the most iconic filming spots used in the movie. Art lovers might appreciate the incredible collection at the Salzburg Museum of Modern Art. Of course, no trip to Salzburg would be complete without seeing the yellow house where famed composer Wolfgang Amadeus Mozart was born. After this free exploration time, you’ll meet back up with the rest of your group and head to Munich on the train. This is the perfect time to share stories and swap photographs from the day of sightseeing in Austria. 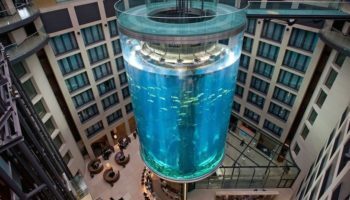 Frankfurt is a fascinating city, but it is easy to focus on its modern attributes. 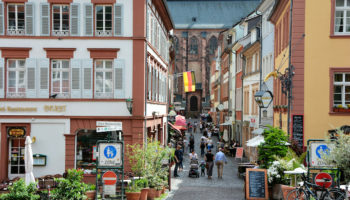 A trip to Heidelberg, on the other hand, is all about exploring the region’s history. 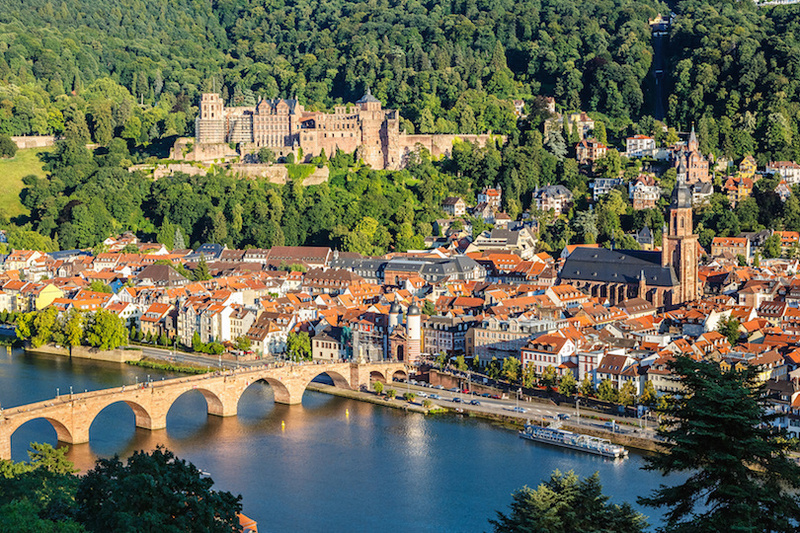 From medieval castles to Renaissance churches, Heidelberg is an unmistakable trip back in time. A half-day trip from Frankfurt is just enough to see the highlights of the amazing city of Heidelberg. 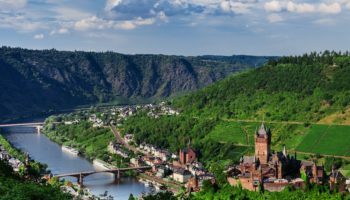 It is just 45 minutes from Frankfurt to Heidelberg by car, making it the ideal half-day adventure. 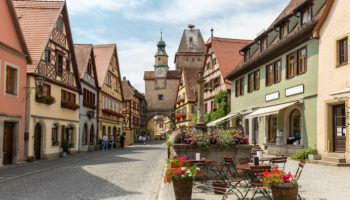 Choose a morning or an afternoon departure, and then enjoy the short ride by admiring the scenery as you cross into the province of Baden-Württemberg. 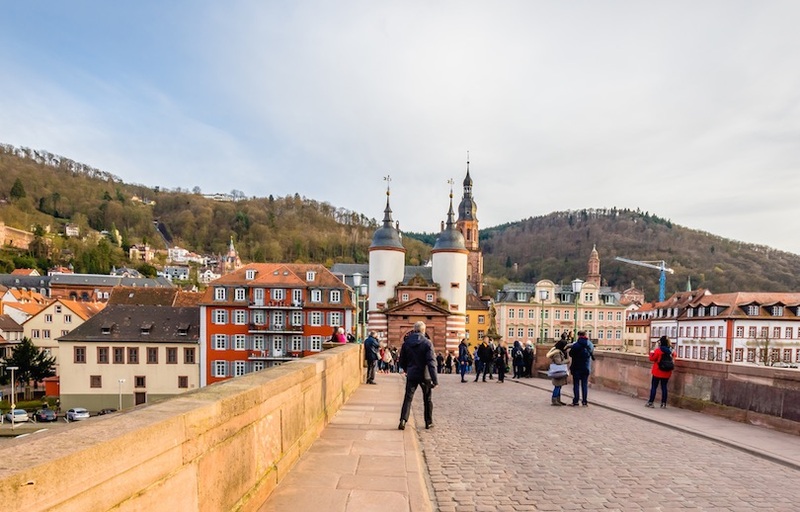 Your time in Heidelberg will begin at the breathtaking Heidelberg Castle, which is perched on a hilly vantage point that provides exceptional views of the city below. Don’t miss the castle garden, which is home to an iconic statue of German author Goethe. You won’t want to bypass the Great Barrel, a wine enthusiast’s dream that once held a staggering 34,000 gallons of wine. After the castle, the tour continues into the center of Heidelberg. The Old Town retains its historic charm, right down to the cobblestone streets that you’ll be walking on as you begin your sightseeing. Don’t miss Heidelberg University, which is the oldest university campus in all of Germany. 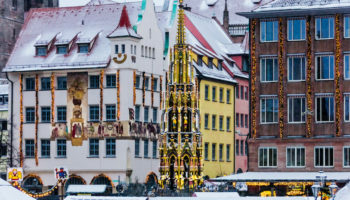 The Altstadt, or Old Town, is also where you can spot Heiliggeistkirche, a unique church that once stored the books from the oldest library in Germany, as well as the beautiful 18th century Baroque church known as the Jesuitenkirche. You will definitely want to make time for the Karl Theodor Bridge, better known simply as the Old Bridge. This incredible bridge spans the Neckar River, it was made from stone in the 18th century, and it replaces many earlier bridges dating back to Roman times. A short drive back to Frankfurt concludes this half day of history in Heidelberg.